Just one version of this light. The MSRP of this just-on-the-market light is $64.95. Buy it at NitecoreStore.com! This is a pretty neat light, and the rotary dial is a good start. While the dial is good as-is, I think future iterations will be even better. Great, even. 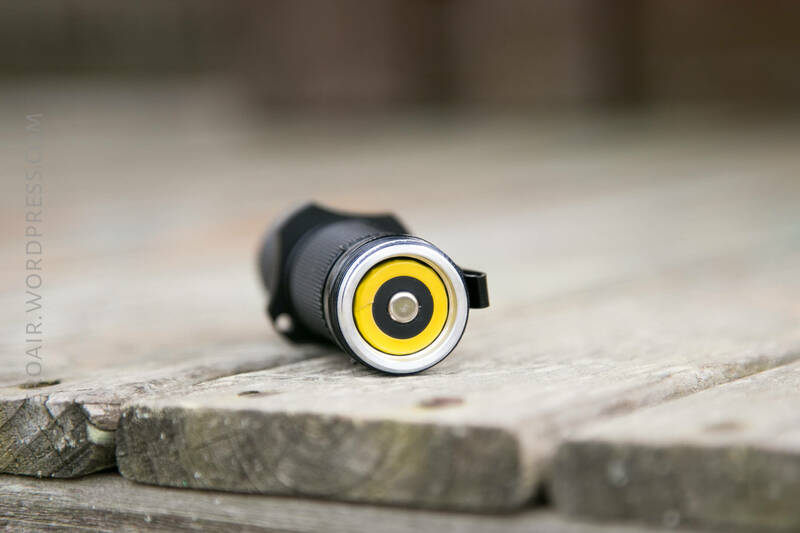 Nitecore’s standard black and yellow package with photos and specs, and even a serial number. Good package, nothing special. Does it’s job. The light is held in a plastic tray. Here’s a pdf of the manual. 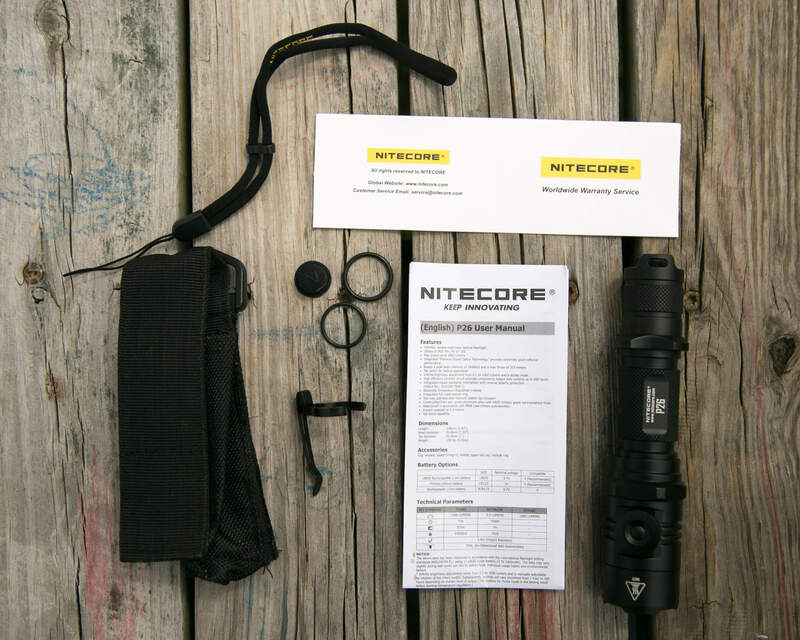 Nitecore has a specific format for their manuals, and the manual for the P26 is no different. It’s good. Clear. Complete. The threads are triangle cut on both the head and tail end of the cell tube. 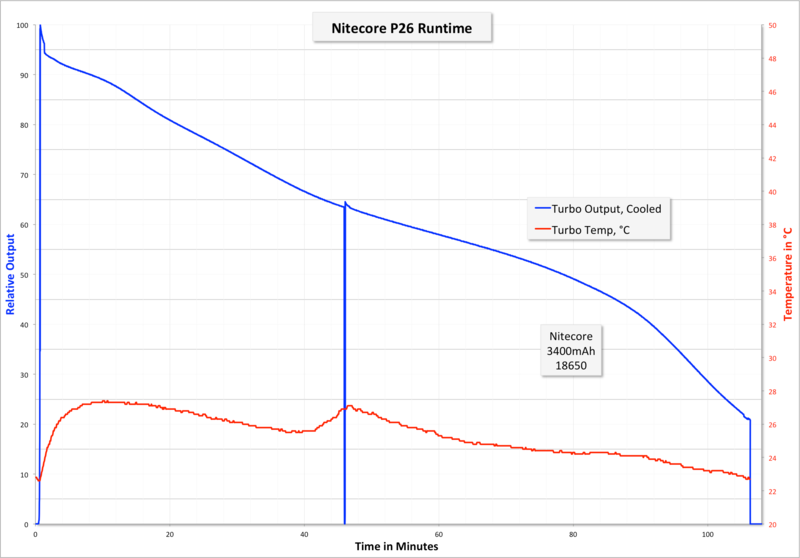 The head as some shallow fins, but the light doesn’t really get very hot anyway, even on Turbo. The cell tube separates fully from the light, and is thicker on the head than the tail (ie, not reversible). The flair on the head end of the cell tube actually adds quite a bit of mass for heat dissipation. The negative contact is just a standard spring on a forward clicky. The positive contact is an unusual rubber reverse polarity protection piece on a board with a brass button, all on a brass spring. This is the same setup as the SRT7GT (and maybe others). I was unable to remove the bezel from the head. 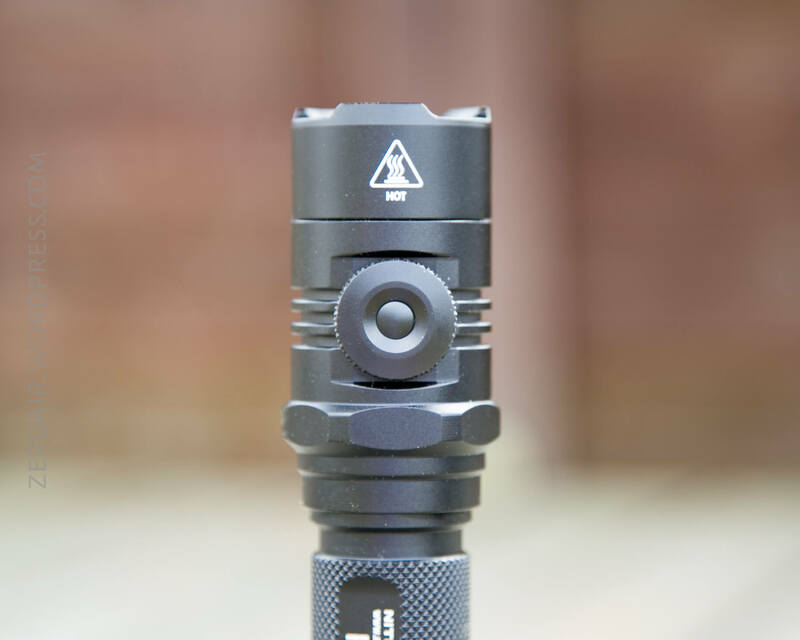 Officially the light is 149mm long and 31.8mm in diameter (head) and 25.4mm in the body. It’s quite a long light. And you know, just because it’s a neat thing? 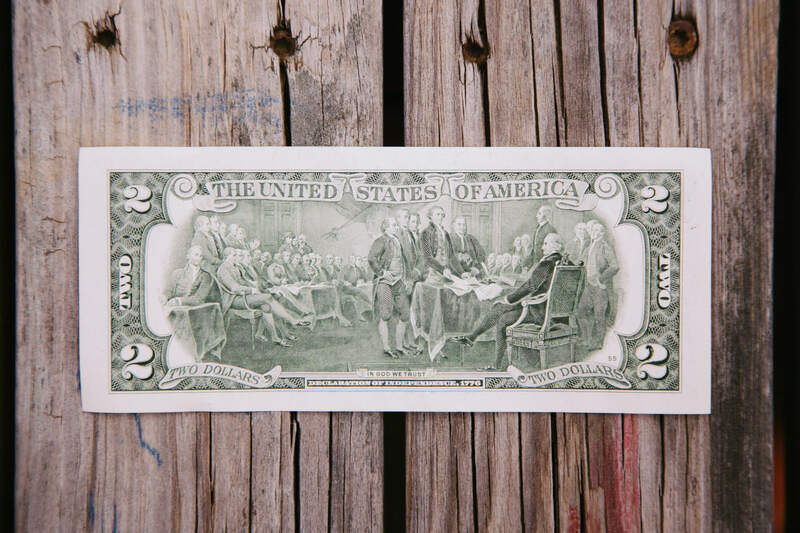 Here’s the full bill. 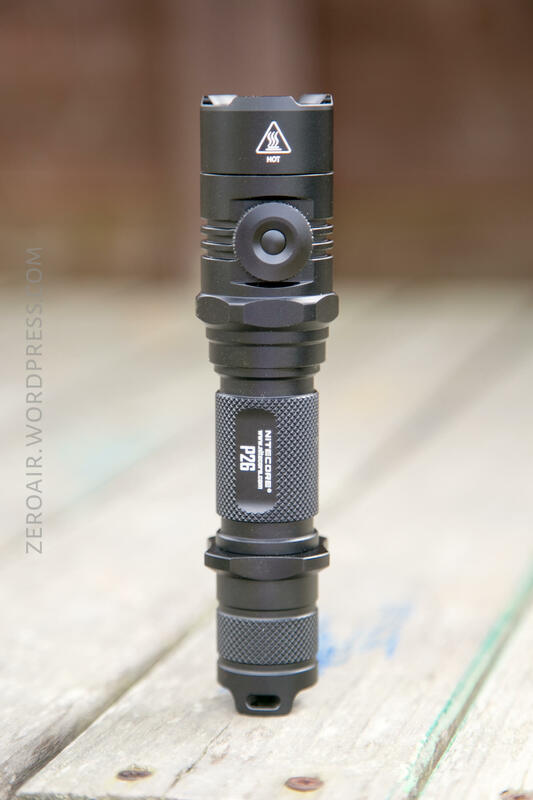 Here’s the P26 beside the Klarus XT11GT and a Convoy S2+. There are a few ways to handle the P26. First is the nylon pouch. The light fits either head up or down. The pouch has a belt loop, a velcro belt loop, and a plastic D-ring. Next is the lanyard, which can attach a number of places. There’s a loop on the tailcap (seen below). 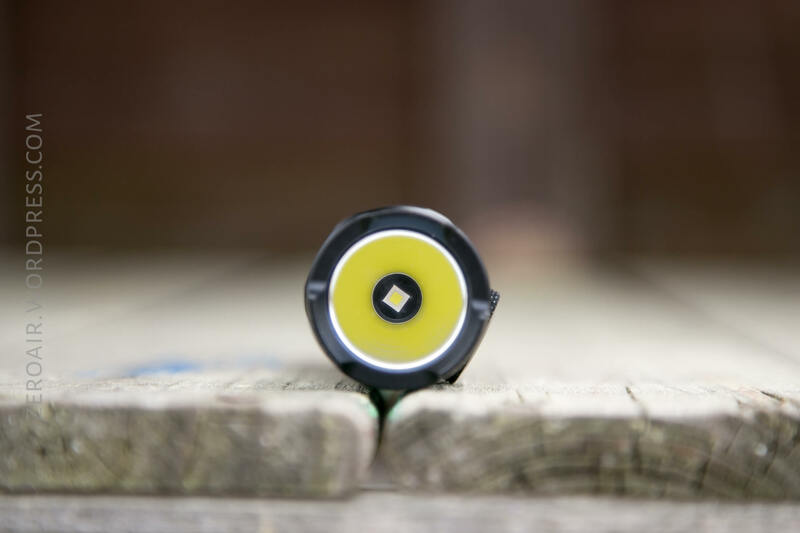 There’s a loop on the tactical ring (seen below). Normally these tactical rings rotate freely, or are friction fit. 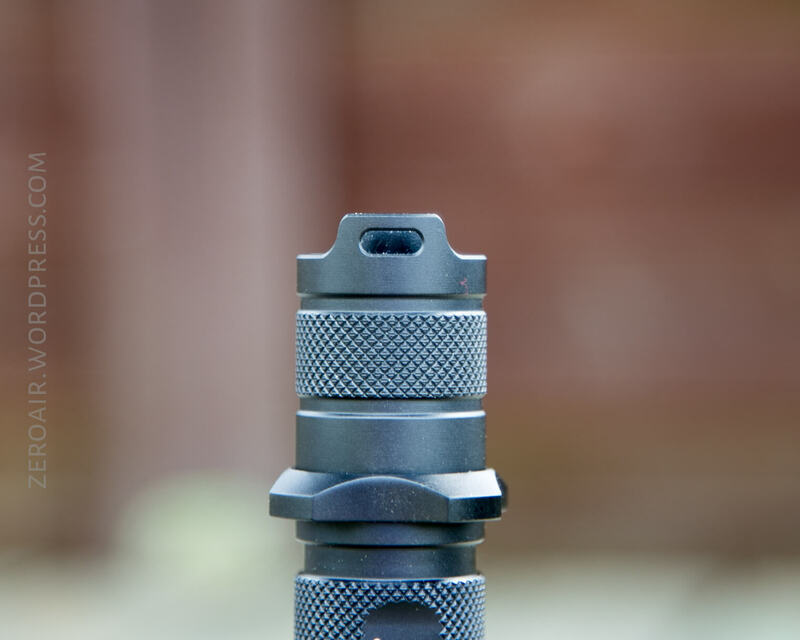 But in this case, the tac ring has threads, and screws on. 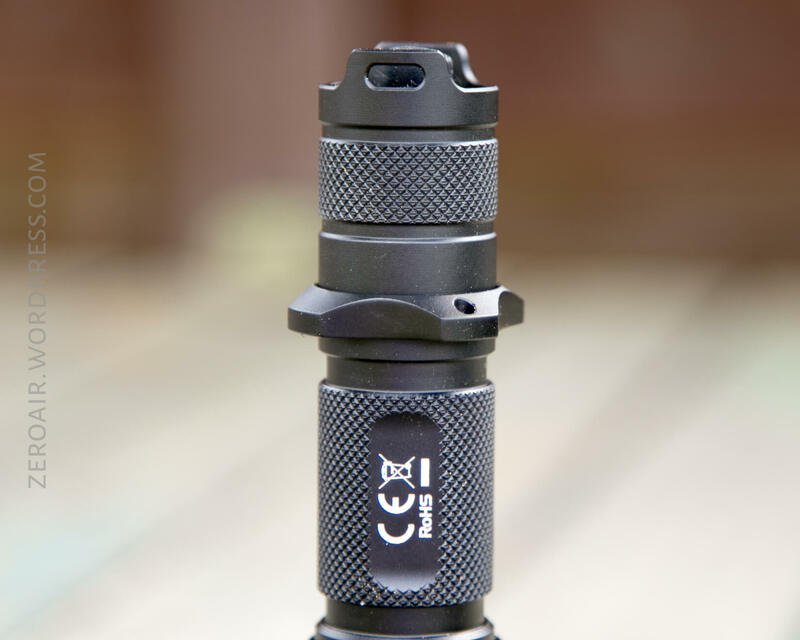 Finally the pocket clip, which fits on the cell tube, and can go in either orientation. The clip doesn’t fit as tight as I’m accustomed to. It would be possible to connect the lanyard to the clip, too. The clip can avoid the tactical clip if placed in the correct place. 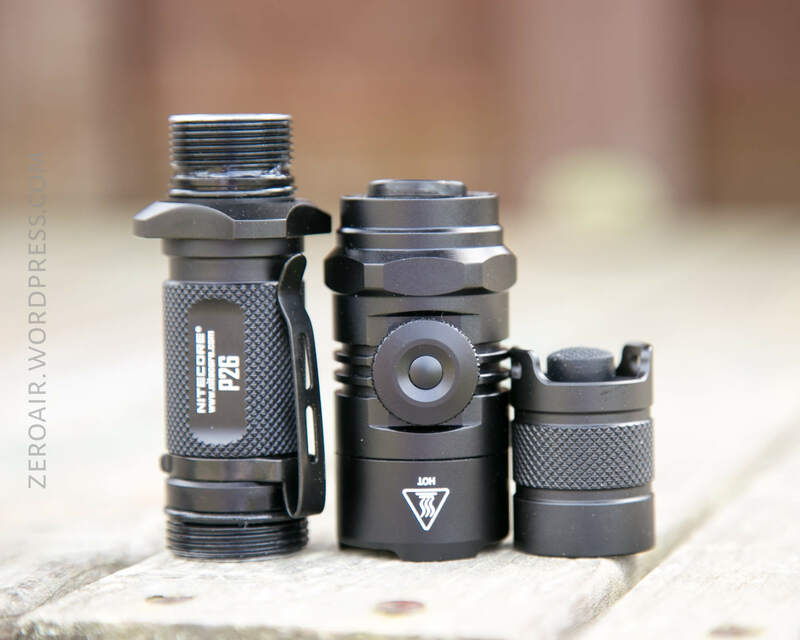 And one of the things Nitecore mentions on their site is that the light will also tailstand. That’s true, but there’s so much cut out from the tailcap around the switch, it’ll just tailstand. 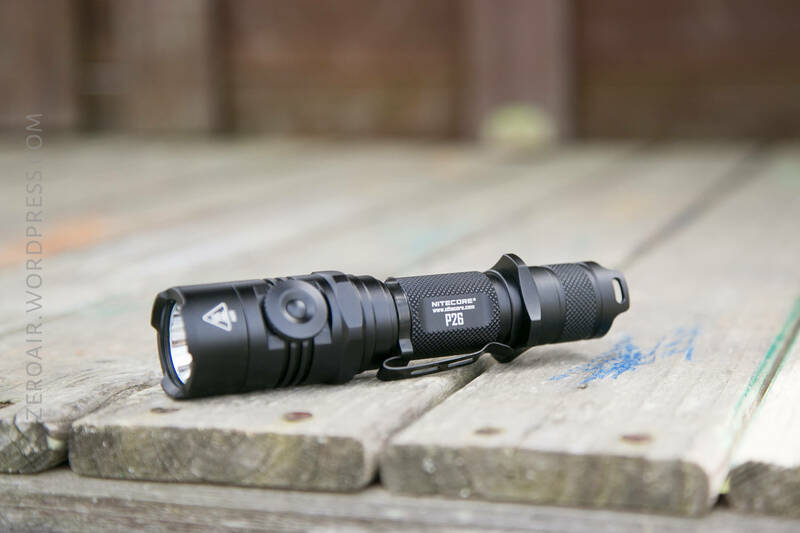 Primarily the P26 is powered by a single 18650. As discussed above, the positive terminal precludes use of flat top cells, and also is a means of reverse polarity protection. Other cells will also work – 2xCR123a cells. 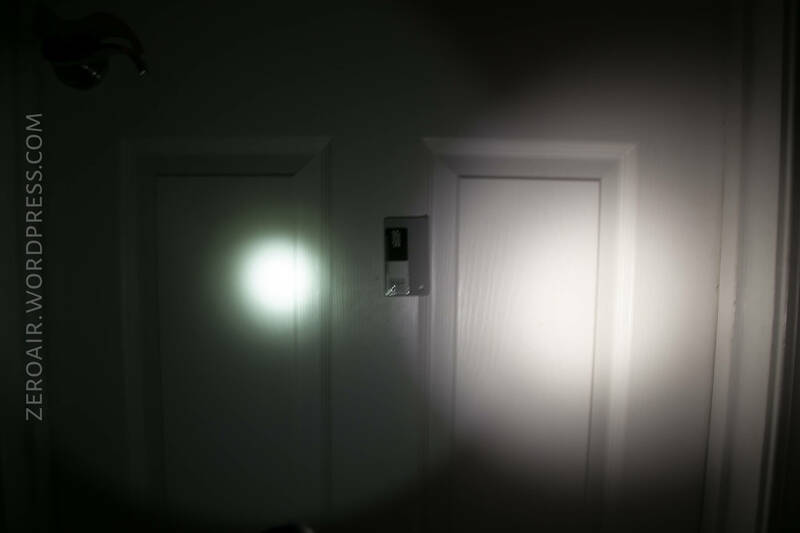 Unfortunately I didn’t have two CR123a cells to test the light with, but in the past using 2-up cells like this in a Nitecore didn’t increase output. In testing with my bench power supply, there seems to be no low voltage protection. There are two switches on the P26. The primary one is a mechanical forward tail clicky. The second is an unusual rotary dial on the head of the light. And even though it looks like there’s a button in the center of the rotary, there isn’t. While the rotary dial is neat, and works well, it could be better. My primary qualm is that the only dial feedback is a single click between Turbo (or 100%) and Strobe. One of my two issues is that this is not an exact position. Sometimes strobe will engage before the actual click. That’s one complaint. The second complaint is tied to this – It’s hard (if not impossible) to reliably dial directly to 100% and move on to operation. At the very least the dial needs two clicks. One which is reliably turbo, and one (much stiffer imo) for strobe. Or maybe that little button-lookingest-not-a-button in the center of the dial could be harnessed for strobe. 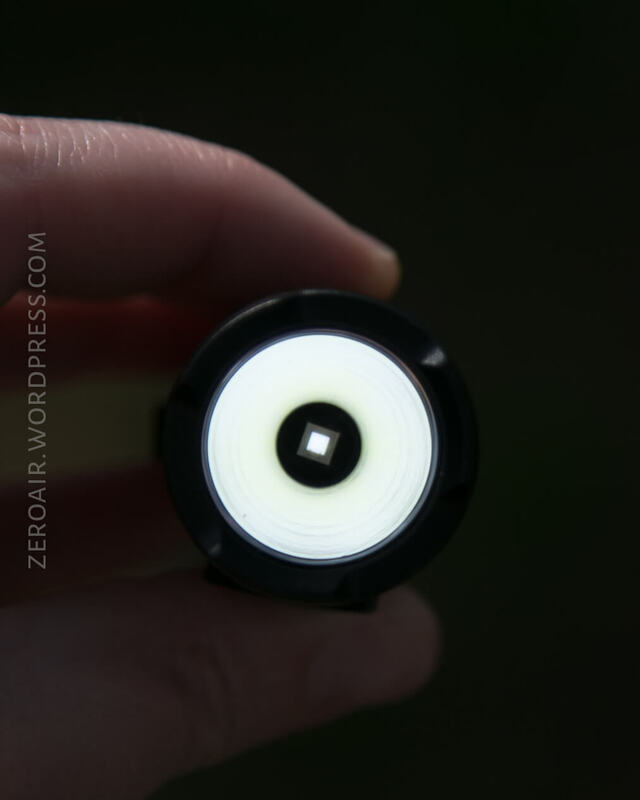 The emitter Nitecore has used here is a Cree XP-L HI. I happen to really like XP-L HI emitters. They are great for throw and often have nice tint. 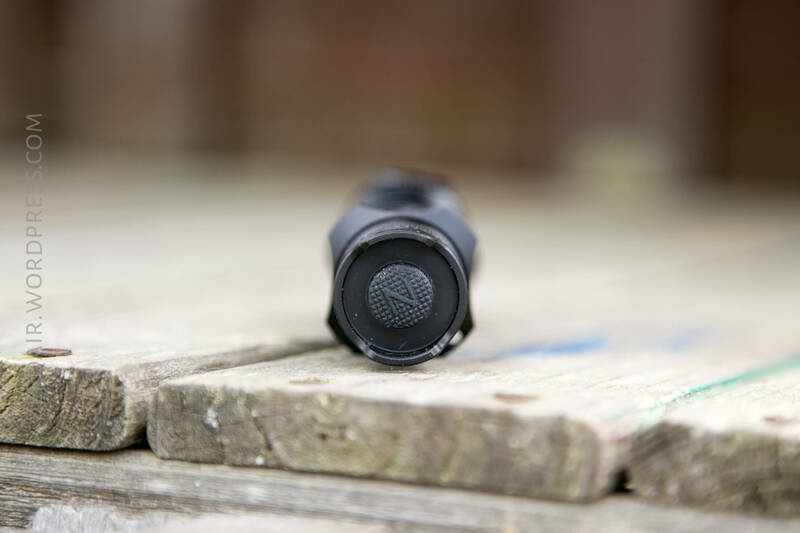 The P26 has a smooth reflector that is surprisingly shallow for such a long light. Low is pleasantly low, but in a light made for throw, “Ultralow” still puts a spot of light out. Very pleasantly the P26 measures well over the rated 310m of throw, at over 340m. Really once you add the rotary dial in the mix, nothing compares to this light. I have a light by Utorch for this week, and at least one charger. A couple of random items are coming round too! But maybe next week for that.